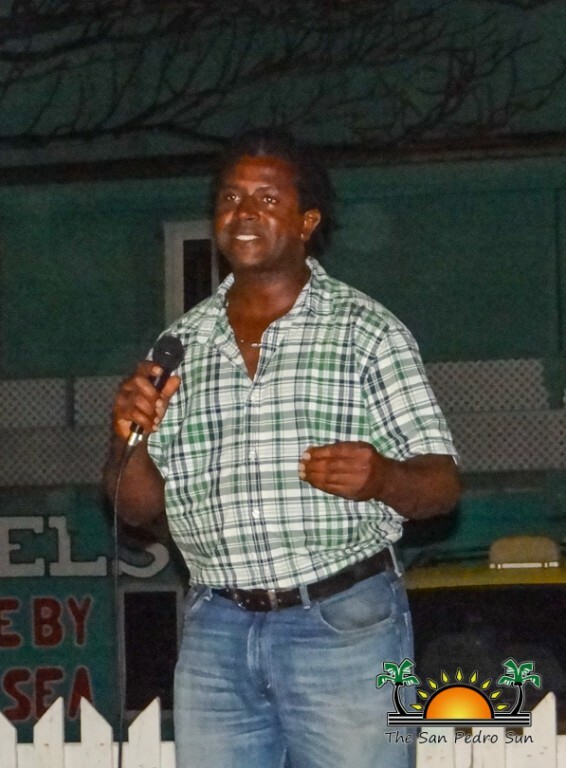 Home » Community and Society » Crime & Violence » Island community must unite to fight Crime! Concerned San Pedro residents have come together once more in an effort to unite against the recent surge of crime. 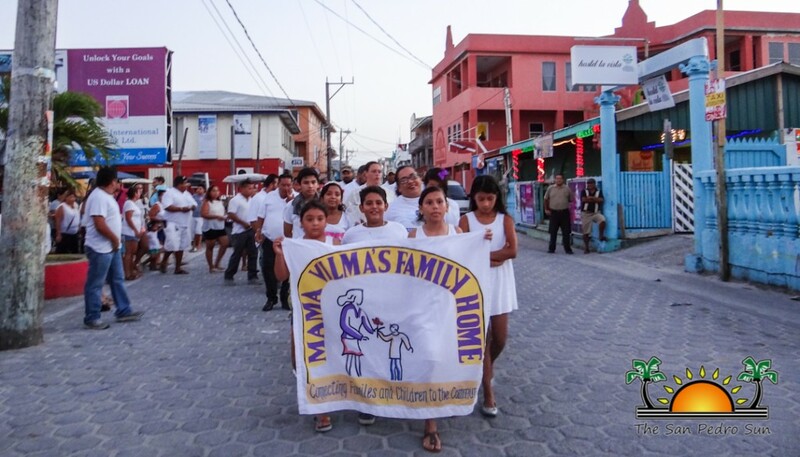 Headed by Footprints for Peace, residents of all ages participated in a solemn walk of solidarity followed by a gathering pledging support in the fight over crime. 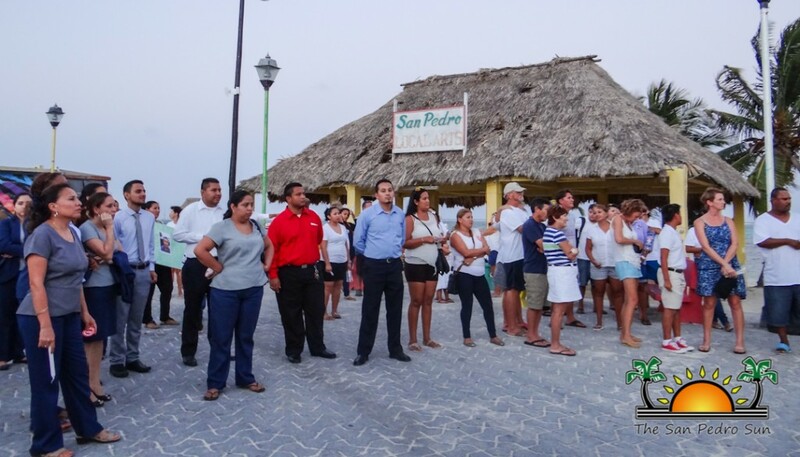 Around 200 residents participated, demonstrating their point of contention. 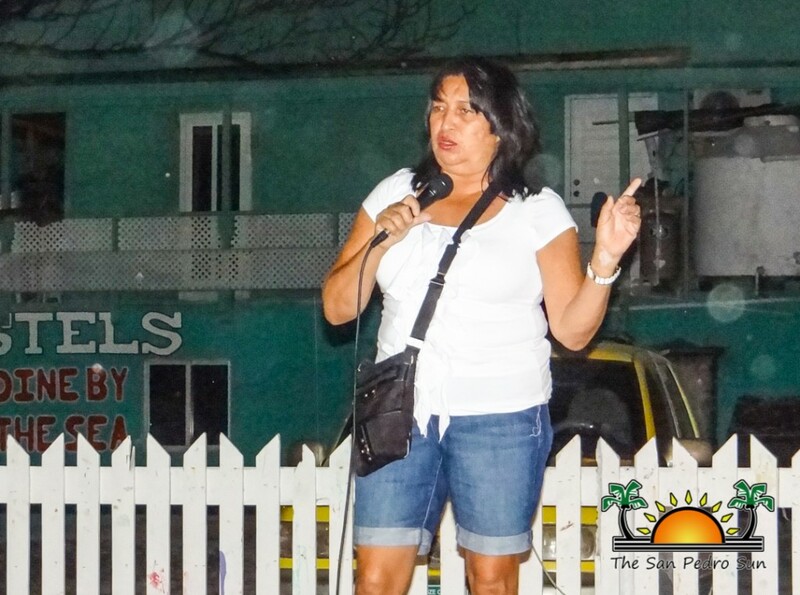 Many of those affected by violence also took time to voice out their opinions and feelings, offering potential solutions for the island. 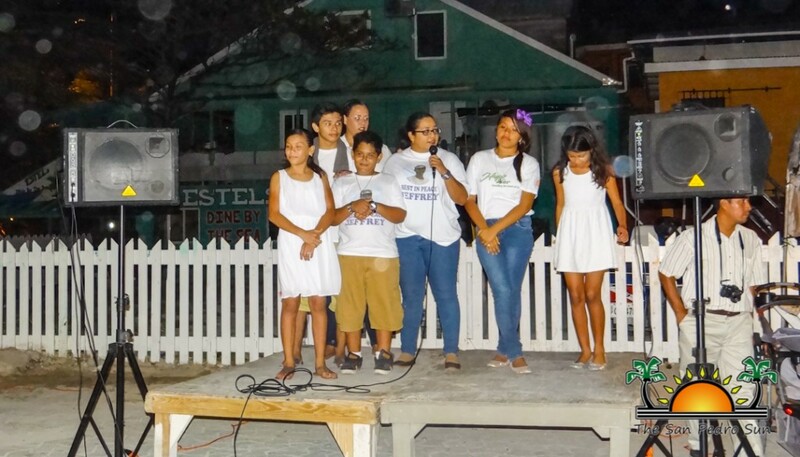 The event started shortly after 6PM, as residents congregated at Central Park dressed in white, ready to walk across Town Core in a show of solidarity for the fallen victims of crime. 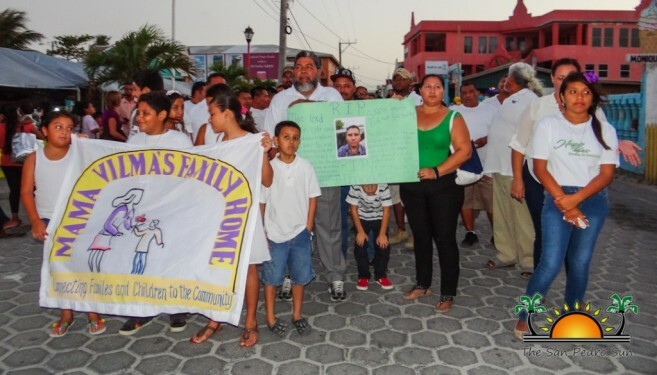 The walk was triggered by the recent murders of two taxi operators as well as the increase in organized crime activities in San Pedro. 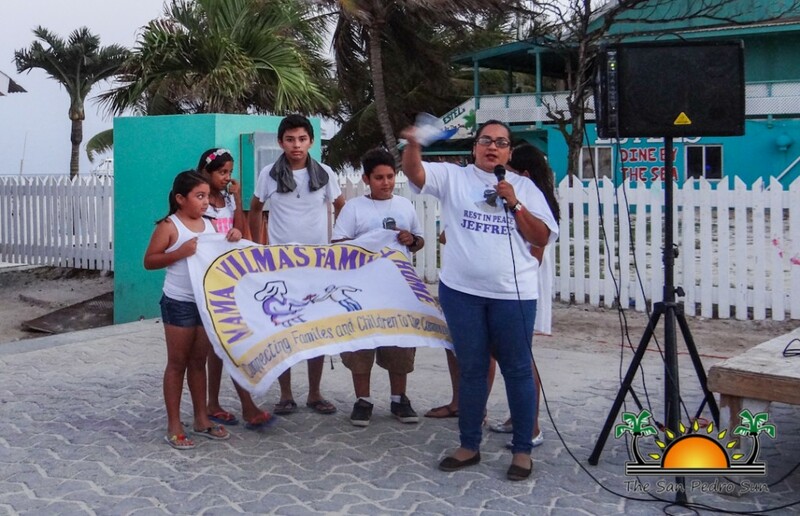 Jose Rigoberto Beltran and Dionisio Trujillo are two most recent murders out of the seven persons that have been killed in 2015 on Ambergris Caye, including 2-year-old toddler Charlie Espat. 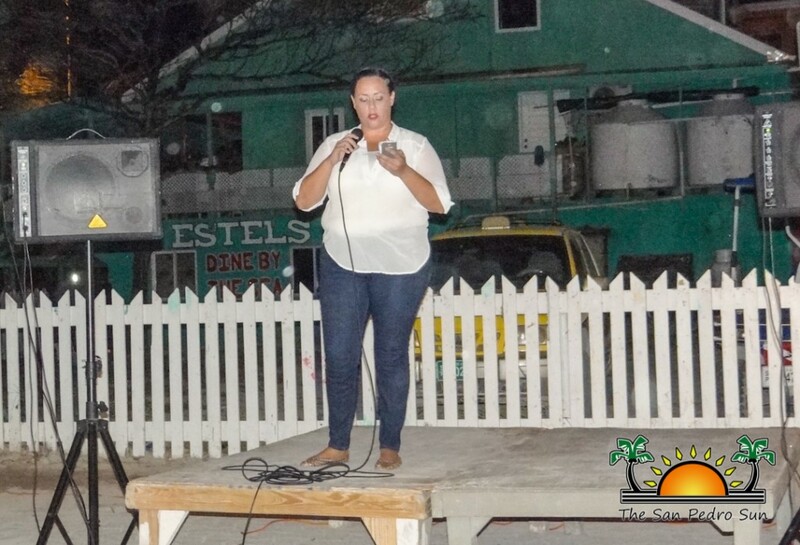 Following the walk, several speakers took to the stage reflecting on their passed loved one, as well as calling for the attention of authorities, government leaders and community in general to address the crime issue. First to talk was Monica Gamez, who spoke on behalf of her family and their emotions over the loss of Jeffrey Eiley who was killed in March 2014. 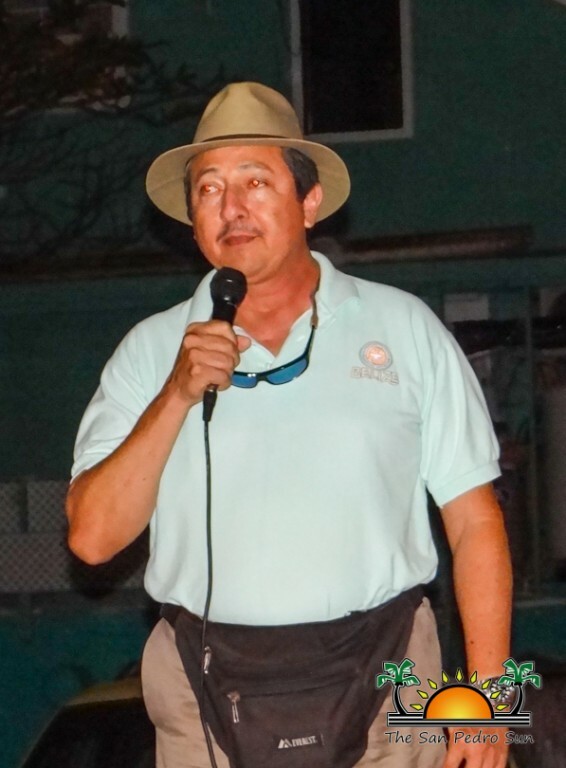 Gamez called for justice asking the community to assist in identifying those responsible for committing any crime on the island. One of the founders of Footprints for Peace, and father of Jeffrey Eiley, Norman Eiley also addressed the crowd. He pleaded for community unity so that no more lives are lost to crime. 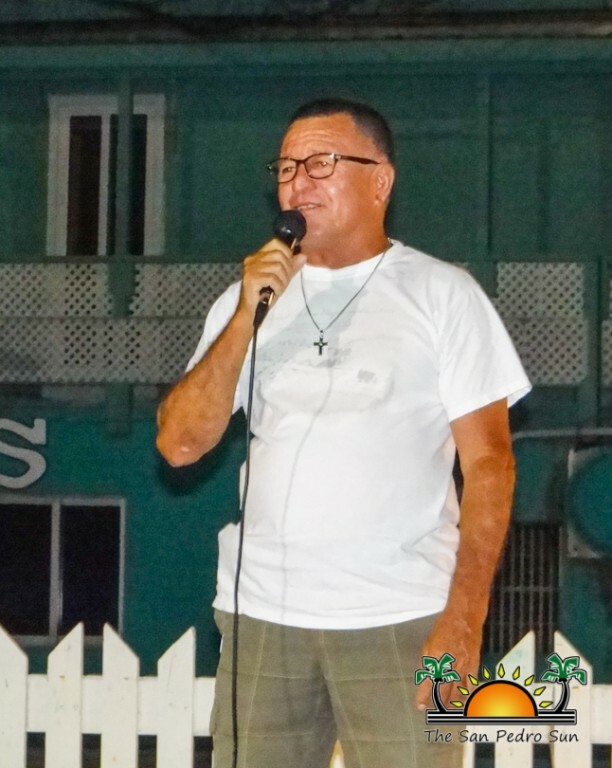 As a long time island resident, Eiley has seen San Pedro develop from a quiet fishing village to a populated tourism destination that is being plagued by violence. “I just want to ask everyone to come together and reclaim our island. I have already lost a son to violence. I do not wish that to on anyone else,” said Eiley. 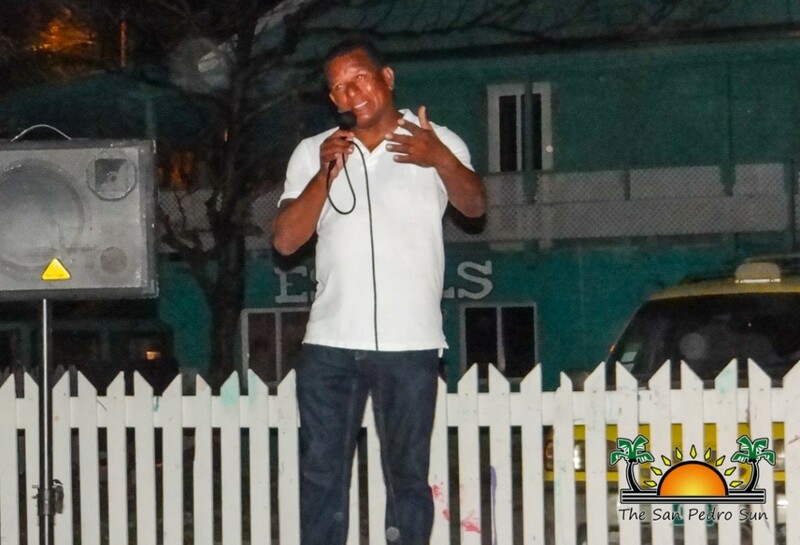 President of the Taxi Association, Alfonso Wiltshire expressed his sorrow over the loss of two fellow taxi men. “The tragic murders of Dioncicio Trujillo and Jose Rigoberto Beltran has shocked us all. There’s a point that we do not feel safe. But it’s up to us to change that. 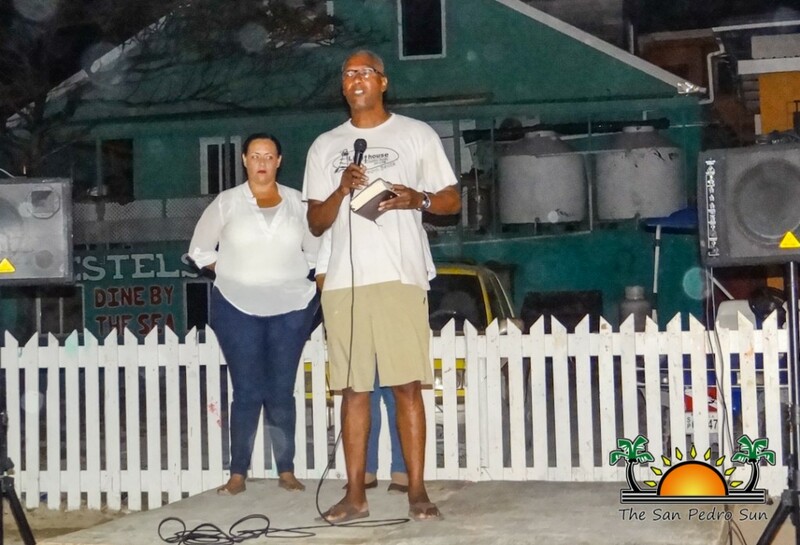 I hope that with the efforts of everyone here we can make a movement towards a safer San Pedro,” said Wiltshire. Local Businessman and community activist, Elito Arceo offered condolences to all victims and survivors of violence. 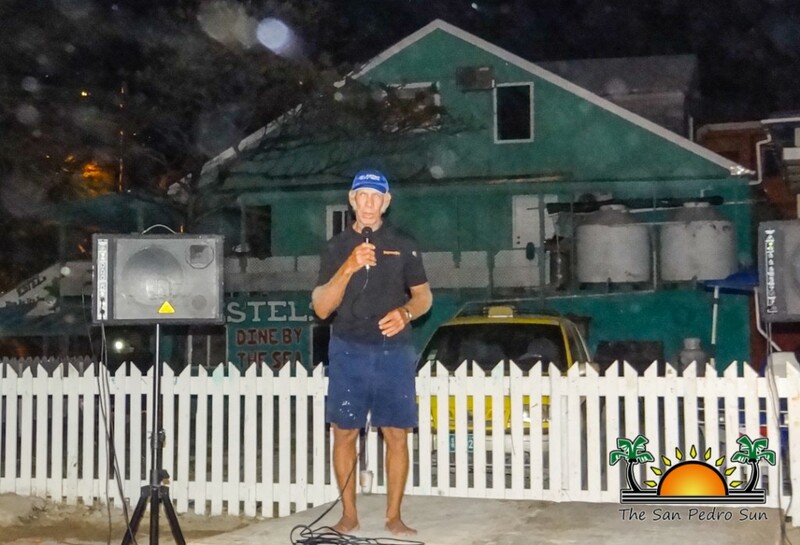 “We have the island at heart and we do not want it to continue in the path that it is going. I believe that this rally should not be taken lightly because we are sending a message to the criminals that no longer will we allow the violence to continue. Let’s not allow barriers to stop us in our quest for safety. 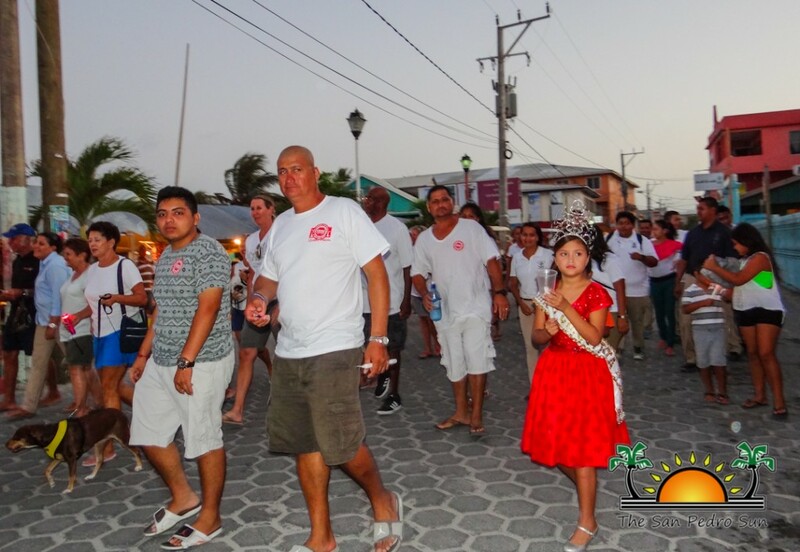 This is our island and we need to unite and ensure that our children have a safe place to grow up,” said Arceo. Mayor Daniel Guerrero also expressed sincere sympathies to all the families that have been rattled by violence. He emphasized the importance tourism plays in our island and how crime can affect our economy drastically. “There is so much to be done. But we need to start with our children. The youth of today are growing up without respect and obedience. I urge all parents to take responsibilities for their children’s action. Discipline them as necessary because if we don’t, they will grow up to be the criminals of tomorrow. Drugs and addiction contribute to crime, but if we parents’ guide our youth in the right direction there will be a change,” said Guerrero. He also mentioned some of the several steps that the San Pedro Town Council is taking to help in the fight against crime. “The council cannot do it alone. We need everyone’s assistance. We welcome positive ideas. We are already implementing something to help our crime situation [street cameras]. I am certain that together we can solve the problem,” said Guerrero. Last to speak was Area Representative, Honorable Manuel Heredia JR. He reaffirmed to the community that their pleas are not going unheard. “Through the Ministry of Tourism I have secured a purchase of a vehicle to add to the San Pedro Police Departments vehicular fleet. The Government of Belize has also promised three heavy duty ATVs that will also benefit the San Pedro Police. I am doing everything in my power to assist the San Pedro Police with resources they need to protect our island. San Pedro is our home and all we want is good for it. 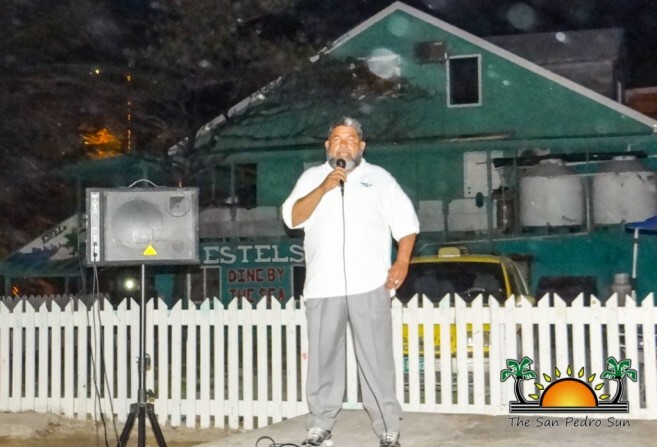 Let us work together in ridding the island of crime,” said Heredia. He stated that the vehicles will be handed over to the police in two weeks’ time. 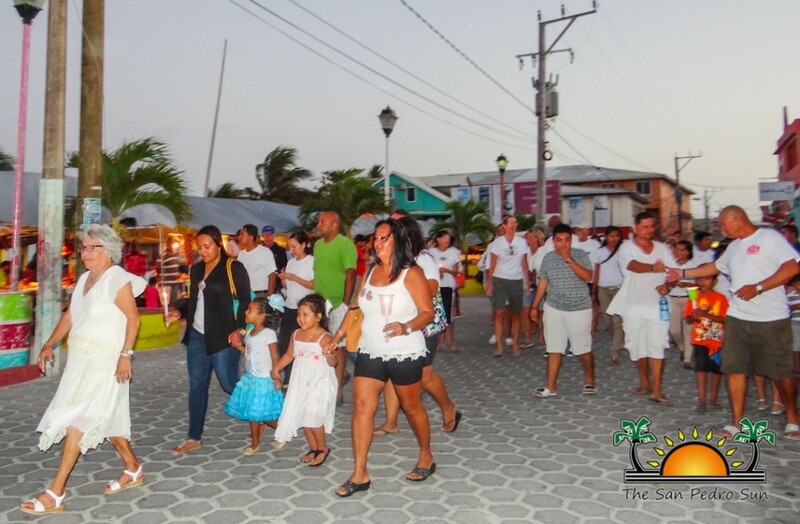 Footprints for Peace would like to thank everyone that came out to support the cause, and urges everyone to do their part in keeping our community active and safe.